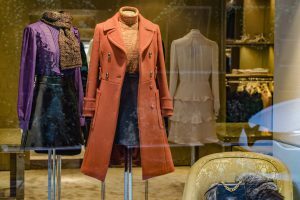 Visual merchandising is a practice in the retail industry that is absolutely necessary for any brick and mortar store to follow in order to compete in the fierce retail environment. However, developing floor plans and three-dimensional displays is no easy feat. You either need to be on the top of your design game or you have to hire an experienced retail merchandising expert to get things going for your business. The primary purpose of retail or visual merchandising is to generate a positive vibe, attract and engage new customers and encourage prospects to make a purchase. In short, creating such an environment that would be loved by the shoppers, which would eventually lead customers to make more purchases. The interior of a retail store actually defines the fate of the business. An alluring, yet comfortable store environment would make customers extend their stay, which means they would eventually end up buying more products than planned. Visual merchandising is one practice that is widely followed by retailers to maximize sales volume. Retailers around the globe follow and embrace different store design models to create favorable buying experiences for the customers. A suitable interior has the power to change the entire image of the store. In short, it’s all about improving store aesthetics to attract customers towards purchasing a product(s). Visual merchandising is a secret tool that is used by brands to build in-store environment and brand communications. Gone are those days when retailers used to simply place things or position items to be picked by customers themselves. This has significantly changed and now brands strategically place products or items and display images and signage to influence a customer’s decision. The decision power has now partially been shifted to retailers, as they can improvise decisions. Retail Merchandising Helps Businesses Grow! To create effective store designs with high-converting displays, either you must have an adequate knowledge of visual merchandising or you must know a retail merchandising expert who can create a perfect environment or shopping experience. It is a proven fact that high-converting displays encourage impulse buying and people often find themselves trapped. After all, it’s all about educating your customers and creating an opportunity for maximizing sale growth potentials. In order to secure and gain a competitive business advantage amid fierce competition in the marketplace, retail or visual merchandising is an effective way to add more value to your brand. By keeping your store organized and items well positioned, you would see significant changes in the consumer buying patterns. They would probably buy more products, which would eventually increase your sales volume and, hence, profitability. The ultimate purpose is to capture the attention of the consumers while they are in the store. For that, retailers must strategically place products in the right spots to get noticed. In-house store design includes store designs, store’s layout, POP (point of purchase displays), signage, etc. Store designs must always meet the expectation levels of consumers or else they won’t consider you ever again. A store layout is one of the major aspects of visual merchandising that can help advance sales profitability. A careful placement of products as consumers proceed deep into the store is vital to business success. Confused or poor product positioning can ruin the entire shopping experience for consumers. Therefore, in order to make things work in the store’s favor, you must choose those layout styles or grids that would influence consumer buying for the better. Customers only buy products in a retail store that are visible to them or displayed on racks. As it is said, ‘customers buy what they see.’ Therefore, POP displays actually improvise consumer decisions and make them believe that this product is exclusively meant for them. They are usually inspired by marketing campaigns or sales promotions offers. The store’s atmosphere plays a critical role in influencing consumer’s buying decision. By creating a consistent atmosphere, you can expect to influence consumers in buying more products. The atmosphere is probably one of the top visual merchandising tactics used by retailers on a very wide scale. This not only includes strong lighting, POP, or 4D displays but also other elements such as music and consistent scents. Undoubtedly, this is one of the best things to lead customers towards a specific section of the store. Most retailers, who know its significance, have seen a dramatic surge in sales over the years by using this tactic. An effective floor map would definitely lead consumers to the right direction, which would ultimately draw more sales. Hiring a visual merchandising expert is probably the safest and the smartest option for designing an image of your retail store. Visual merchandising plays a significant role in designing the image and fate of any retail store. For generating high sales, you need to use smart ways to lure customers into buying more and more. The right placement of products and a store’s ambiance would probably encourage consumers to revisit.